In addition to pages and folders, you can add links to the table of contents. Links can point to other pages within your site or to external websites (such as www.mycompany.com). Open the "Add New" drop-down menu button, then click "Sync Page." This will insert a new link into the table of contents (and open an overlay to define the link). Enter a name for the link, and click outside of the text input to save the new page name. 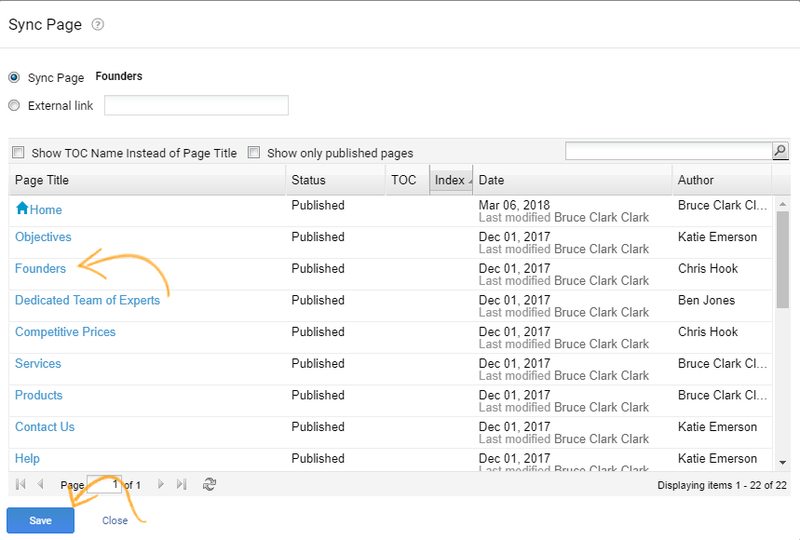 This will allow you to have several entries in the table of contents for a single page. Select the radio option Sync Page to ensure the page grid is shown. 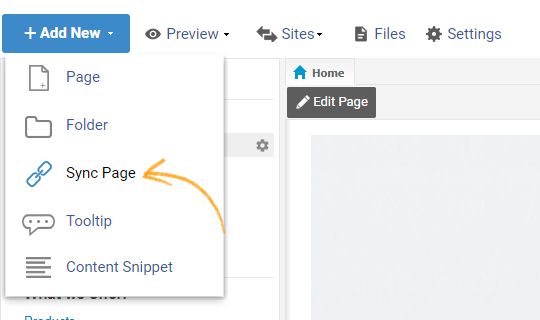 Select the page you want to link to by clicking that page title. Optionally select anchor link. The link will be created. Select the radio option External link. Enter any web address available on the Internet, such as a website, a PDF document, or an image. For the Target, select the Same Window, which will open the link in the same browser window, or New Window, which will open the link in a new browser window. 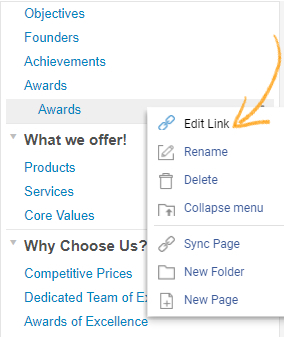 To edit a link, right-click on the link and select Edit Link.